The A.D.A.P.T. website was created using WordPress for ease of updating content on a daily basis. 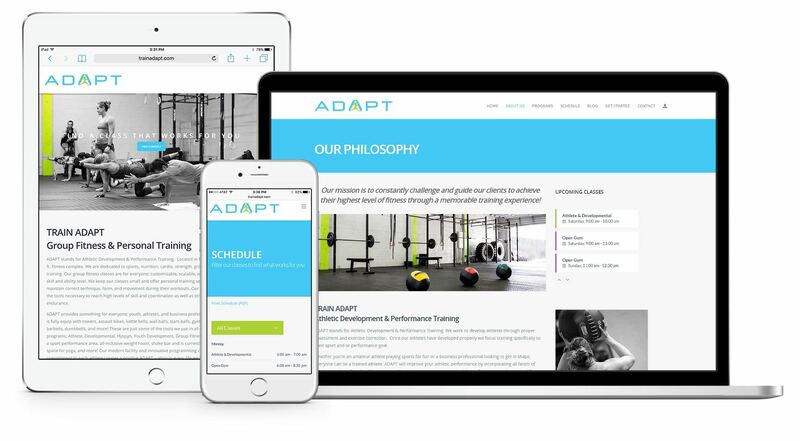 The focus on the front-end was a simple and highly responsive user interface for clients to access daily workouts and class schedules.